I agree with most of this one. I know this is thinking too far ahead, but someone I know brought up something about publishing. A lady who attends the mental health center that I attend and work at, writes poetry. Our center director asked her if she had been published. The lady said she'd gotten one of her poems published in Reader's Digest. She then suggested the idea of me trying to publish my memoir in a magazine rather than trying to publish it as a book right away. Is this a good idea? Do people still serialize stories in publications? I'm afraid no one I know will see it or read it this way. Furthermore, it seems that this only for fiction. Do publications serialize memoirs? Suggested publications were medical journals or Psychology Today. But such journals will only publish stuff from non-medical professionals. I was told this in a writing group I joined on Facebook. My story is just too long for Reader's Digest. Again, is this a good idea? And what is your opinion of possibly self-publishing? Any of you writers out there--do you use these symbols when editing? Most of the time, when I began editing my work, I would just cross out misspelled words and write the correct spelling above it. I don't seem to remember that first one mentioned in the photo. I tend to just cross out a word that needs to be deleted. I guess each person has their way of doing this. So true. When I had to take algebra in high school it didn't dawn on me at first that I would not be using it later in life. But after a while, I did began to feel that way, and I later felt the same with geometry theorems. I now wonder why we were never taught how balance a checkbook or do taxes in school. I did have to take economics in high school, and the only lesson they gave us on checks was in a film we watched for the class. Not sure if they talked about doing taxes, though. If not, they should have. Have you found yourself using algebra since high school and/or college? I'm guessing not. Yesterday I finished converting my handwritten notes to typed form. Excluding the title and contents pages, my story is 87 typed pages. A lot of thought went into what to delete and add to what I'd written down. I know I have made some typing errors and have to check for repetitive stuff I may have missed already. Before typing, I had jotted down some words, phrases and place names that might need explanation. I mentioned several cities, including my hometown, that many people outside of California may not know about, be included in an index. I haven't typed this part, though. As always is the question, "What to do next?" 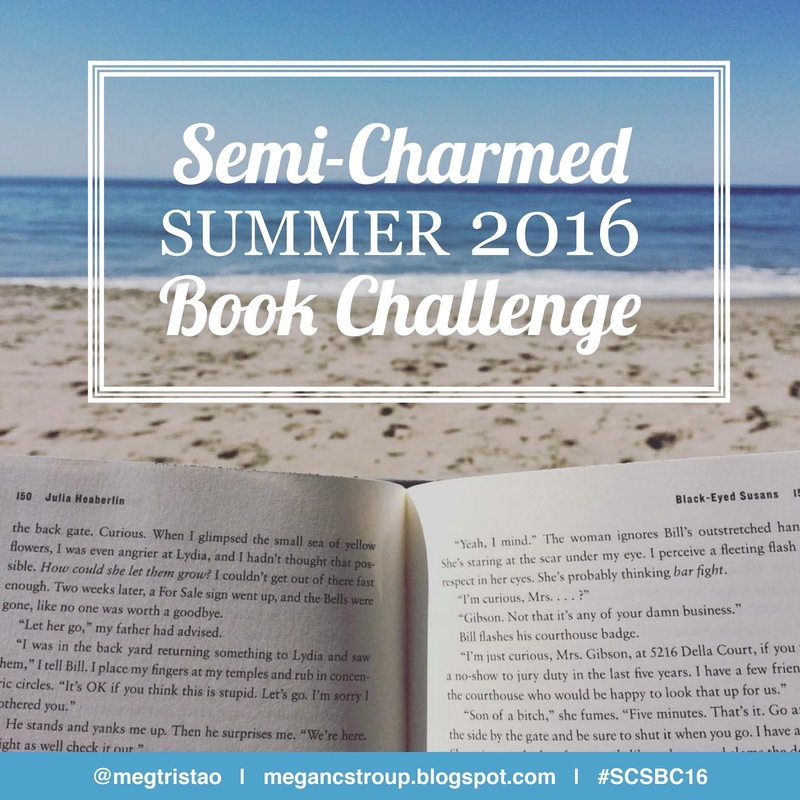 Since I was an early finisher of the Winter 2015 challenge, I got to pick a category for the Summer 2016 challenge and will thus be in again. Click here to sign up and see more details. 10 points: Read a collection of short stories or essays. They may all be written by the same author, or the book may be an anthology from different writers; your choice! 10 points: Read an adult fiction book written by an author who normally writes books for children. Examples: J. K. Rowling, Judy Blume, Suzanne Collins, Rick Riordan, etc. - Submitted by SCWBC15 finisher Kelly E.
20 points: Read a book that you have previously only seen the film (movie) of. - Submitted by SCWBC15 finisher Bevchen. 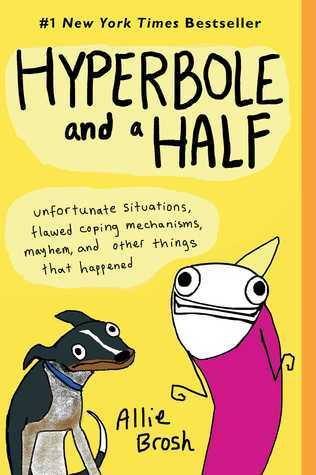 25 points: Read a book with a punny title. The title can be a play on another book title, movie title or a common expression. Examples of such titles include Southern Discomfort, We'll Always Have Parrots or Bonefire of the Vanities. - Submitted by SCWBC15 finisher Jamie G.
Even before I started typing what I had hand written, I was already mentally editing it. And tonight as typed three more chapters, I found them too long and somewhat repetitive so I cut out a great chunk on two of them and condensed some of it down. My notes for Chapter 11 were especially long, a lot had to be taken out. I carefully decided what needed to go and what seemed repetitive from previous and subsequent chapters (those I have yet to type) and within each chapter itself. This definitely is how to write, I have been told. As of now, typing chapters 12-15 and the epilogue remain to be done. One of these is already pretty short. I'm anxious to see how many I get typed tomorrow. To the best of my knowledge, anyway. I wrote 15 chapters along with the prologue and epilogue. As of now (prior to typing this blogpost), I have typed and printed the prologue and chapters 1-8, as well as a title page and a table of contents page. Excluding these two pages, my current page count is 47. It's like the college thesis I never wrote. What, you may be asking? I didn't write a thesis in college? Well, not in the way that most people are familiar with the concept. I was a literature major and where I went to college, we had the option of doing a traditional undergraduate thesis with faculty sponsor or the senior seminar option. The latter will need some explanation. A class taught as a seminar (as opposed to being taught as a lecture) could be used as our exit requirement. Various such classes on different literature topics were offered each quarter. An essay was required for the class. In some ways, this was like doing a thesis, but it was part of a credit class. The length of the essay varied by each class and instructor. The class I took for this requirement was on slavery reading. I don't remember too many details about it, though. I always had to type papers in college, but this senior essay was probably the longest one I had to do then. I seem to recall the required length being 10 pages. I'm now pondering the idea of going to graduate school, thinking that if I should do so, I'll now be prepared to write a lengthy thesis. I am not certain of whether I'll be doing that, however. For now, I want to finish typing my memoir, typing as many chapters as I can each day. Now that it's working, I began typing my story yesterday. I'm not done yet, since I have a lot to type. I've printed what I've typed so far. Some of what I'd written longhand I've paraphrased already in my typing, something I began doing in my head before typing. Trying to avoid repeated stuff. And I've added some things not already in my rough draft. Will continue until all is typed, however much I can do a day. Fear of the day is likely rooted in Christianity. Jesus was crucified on a Friday and ever since the day has been associated with "general ill omen," Michael Bailey, a history professor at Iowa State University who specializes in the origins of superstitions, told USA TODAY Network. Weddings in the Middle Ages, for instance, were not held on Fridays and it was not a day someone would start a journey, Bailey said. Thirteen guests are believed to have attended the Last Supper, the night before Jesus was killed, according to Stuart Vyse, a psychology professor at Connecticut College. And Judas Iscariot, the disciple who betrayed Jesus, is considered to have been the 13th guest, Vyse said. The superstition's origins are mysterious. It's unclear when Friday and number 13 became linked in the way we think of them today, according to Vyse and Bailey. There are no mentions of Friday the 13th before the 19th century. Fear of the day itself has an official name. It's called paraskevidekatriaphobia. Not sure how to pronounce it? NPR offers this handy audio guide. You're not more likely to make a trip to the hospital. A 2011 German study published in the World Journal of Surgery explored whether there is a link between Friday the 13th and an increase of blood loss and the frequency of emergency room visits on those days. Researchers reviewed 3,281 days at a hospital facility that included 15 Friday the 13ths. They found no correlation. "Our data indicate that such beliefs are myths far beyond reality," the study concludes. Bonus fact: 13 is Taylor Swift's lucky number. "I was born on the 13th. I turned 13 on Friday the 13th. My first album went gold in 13 weeks. My first #1 song had a 13-second intro," the singer told MTV in a 2009 interview. The performer was even sued in 2014 by the clothing brand Lucky 13 for selling T-shirts on her online store with the phrase "Lucky 13" on them. The longest period that can occur without a Friday the 13th is fourteen months, either from July to September the following year being a common year starting on Tuesday (e.g., between 2001–02, 2012–13, and 2018–19), or from August to October the following year being a leap year starting on Saturday (e.g., between 1999–2000 or 2027–28). (I was not aware of this until today). Also, did you know that the first day of the month falling on Sunday means the 13th will be on Friday? I've known this fact for several years now. Quiz: What Does Your Favorite Emoji Say About You? I agree with this :-) I don't particularly have a favorite one, just picked this one. You have a wicked sense of humor, and for you, there's almost no joke that is outside the bounds of good taste. If laughter is the best medicine, then everyone around you is very healthy. You keep everyone cracking up with your comments. 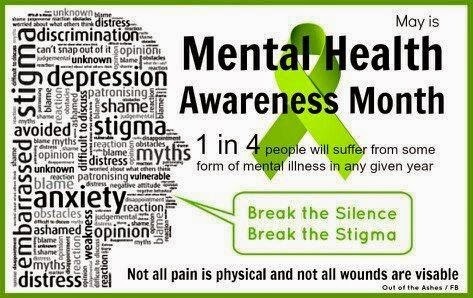 In case you didn't know, May is Mental Health Month. Since I've been going to services, I've been well aware of this. Our county behavioral health department will having booths this month during our town's annual farmers market, which began this week and will run till the end of September. One of the reading challenges I am participating in this year is the Mental Illness Advocacy. I don't think I'll stop this month, though and I will probably read more than 12 books. 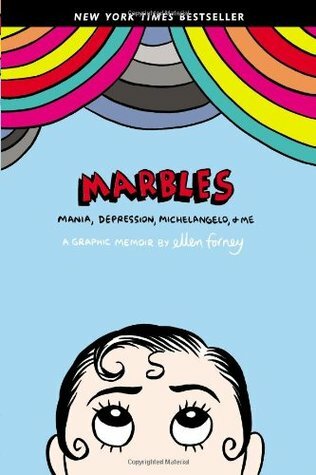 So far this month I've read two books that fit that challenge, both graphic novel memoirs. I definitely want to continue reading mental illness books, this year and next and not just in May. And yesterday on Twitter someone mentioned watching the Prozac Nation movie, not knowing that Mental Health Month had begun. I then decided I need to watch my copy again soon. Last month I was reading some of the blogs that were doing the A to Z Blogging Challenge, including that of Stephanie Faris, whose blog I read already. I'd considered trying it when it was time to start signing up, but couldn't find any ideas for a theme. And since I ended moving at the beginning of April and being offline for almost a week, I wouldn't have been able to do it. I'd been aware of this thing for two years now when I saw it on her blog in 2014. At that time, I was working long hours, six days a week at a produce plant, barely getting any sleep and barely getting onto my computer. It was too rough and I left after nearly three weeks. I certainly would not have had time then, but then I was not aware until I saw it on her blog. On the plus side, I did enjoy reading posts about unsolved mysteries, most of which I did not know about. Hearing the phrase "A to Z" brought to mind something on a local classic rock station several years ago. Every summer they'd do something called A to Z, playing their song titles alphabetically. I'd try to catch as much of it as I could. In some years, they'd do "Z to A," playing the titles in reverse alphabetical order. How fast you can you recite the alphabet backwards? They haven't done it since 2007 as I recall. And one of the reading challenges I'm doing this year is Alphabet Soup. The challenge requires reading a book that begins with each letter of the alphabet. It doesn't have to be done in alphabetical order, though, and I've been counting the first book I've read that begins with each letter. Special exceptions are given for Q, X, and Z, which can appear anywhere in the title since they are such tricky letters. I did find some books that begin with those letters, and I'm only left with N, U, and V. I've read more then 26 books already, but none beginning with those letters.